EDINBURG — The city manager said Monday morning he planned to make a recommendation to the council to redirect funds intended for the School of Medicine at the University of Texas Rio Grande Valley and use them instead to repave roads, but the mayor has different plans, according to school officials who spoke to him Monday afternoon. Pilar Rodriguez said Monday morning that based on the city’s financial situation, he was planning on recommending the city forgo the $1 million payment that was budgeted for the 2017-18 fiscal year. “It was budgeted, but it has not been paid out,” he said about the funds, which were due October 2017. Earlier this month, Rodriguez and the council discussed the city’s finances during a public meeting, where the city manager indicated the city still owes about $49 million to its creditors. 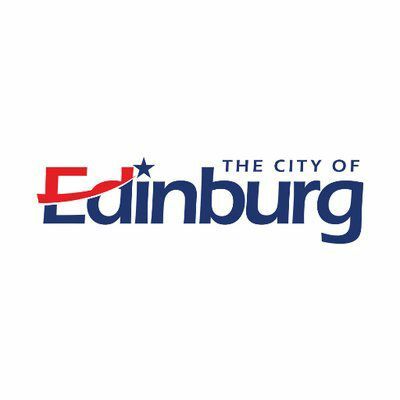 Edinburg can no longer incur debt without having to raise taxes, he said, so the council voted to ask residents to pass a nearly 5-cent tax rate increase to fund capital improvement projects to the tune of $30 million. In order to pump more money into such initiatives, Rodriguez also planned to recommend that the council not fund the school for the upcoming fiscal year, which begins in October. “We don’t have the financial resources to be able to fulfill the $1 million that the university has asked us (for),” he said. Still, there’s a possibility the council might not follow his recommendation. Edinburg Mayor Richard Molina, who previously pledged support for the school during the grand opening of a community clinic in Edinburg earlier this year, did not return a call for comment Monday. University officials said in a prepared statement Monday that the mayor had reaffirmed his support to the school. Edinburg council members must approve and pass a new budget by Sept. 30.